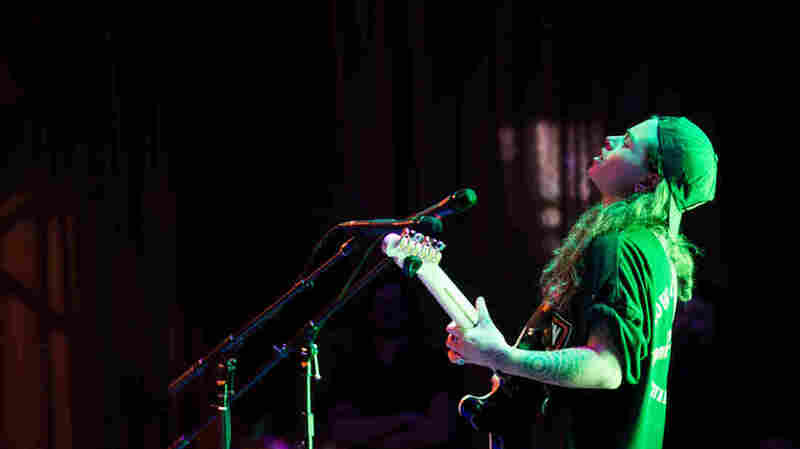 Tash Sultana On World Cafe : World Cafe Hear a performance from this guitar prodigy, looping master and righteous singer — she plays every instrument herself, live onstage. Tash Sultana performs at World Cafe Live in Philadelphia. If Tash Sultana didn't put her guitar down at the end of her performance, you might assume it was attached to the end of her arm. The same is true of the pedals and her feet. If you've ever seen her live, you might still not be convinced that she and the instruments she plays are separate entities. Sultana is a guitar prodigy, looping master and righteous singer from Melbourne, Australia, and she plays every instrument you hear in this session herself, live onstage. She also shares her life story — from receiving her first guitar at 3 years old, to busking in the streets of Melbourne, to the time playing music shook her out of a terrifying nine-month bout of drug-induced psychosis.